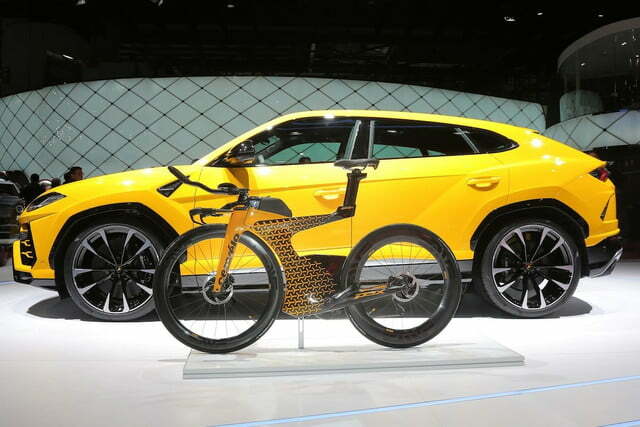 At the Geneva Auto Show last week Lamborghini not only took the wraps off of its new Urus SUV, but unveiled a stunning new triathlon bike right alongside it. 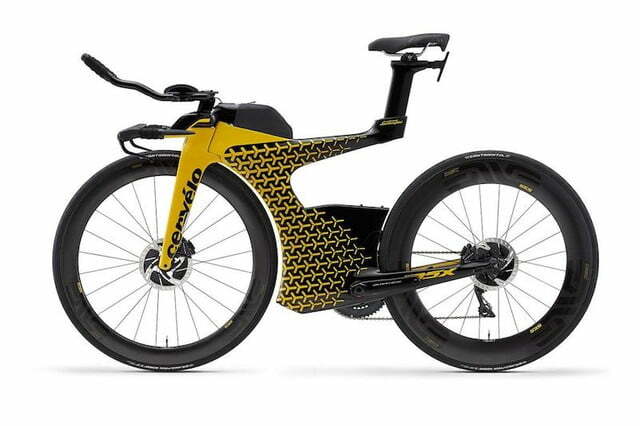 The bike is the result of a collaboration with Canadian-based Cervelo Cycles, and is a limited-edition model of one of the company’s already stunning triathlon bikes. 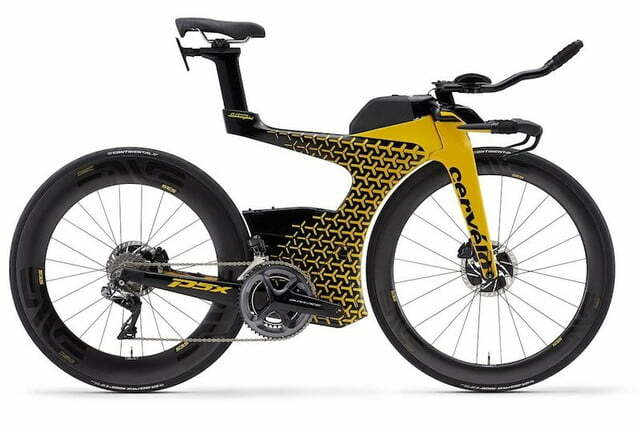 Officially dubbed the Cervelo P5X Lamborghini Limited Edition, the bike comes with a custom paint job that was created at the supercar manufacturer’s famous Centro Stile design lab located inside its Sant’Agata Bolognese headquarters. The team there is also responsible for creating both the Huracán and the Aventador, two of the Italian automaker’s most famous vehicles. When the designers at Centro Stile turned their attention on the P5X, they decided to give it a unique look that would help it stand out on the road. 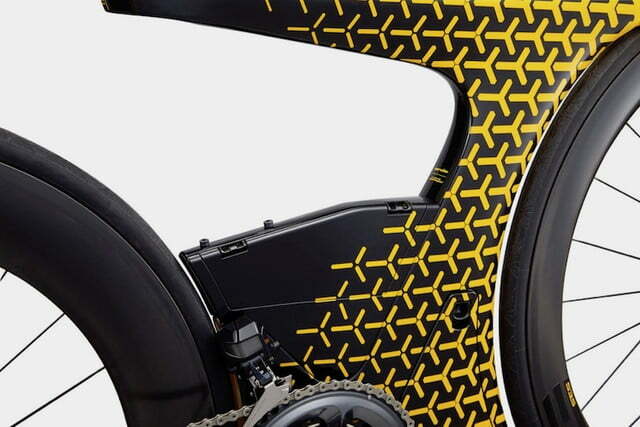 The bike’s paint scheme includes not only Lamborghini’s trademark vibrant yellow color, but also a special Y-shaped pattern that spreads out across both the forks and frame. That’s a striking contrast to the P5X’s usual color pattern, which is black with red highlights. Even without the Lamborghini paint job, the P5X is quite a feat of engineering. 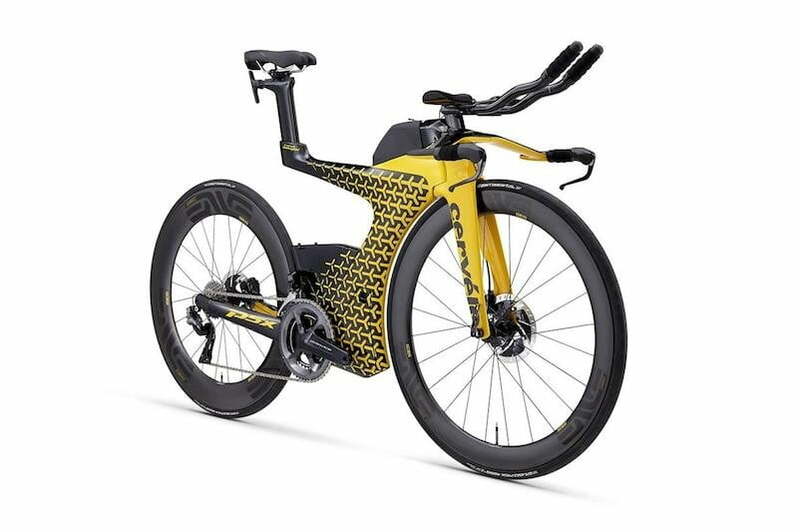 The entire bike was built from the ground up to meet the very specific needs of triathletes, including onboard storage and ease of adjustment and set-up. While designing the bike, Cervelo’s engineers created more than 150 frames and spent more than 180 hours inside a wind tunnel to perfect the P5X’s design. That helped to make the bike 30 grams lighter than the standard P5 bike, while also adding flat-mount disc brakes and through axles for improved performance. While the P5x is available to any triathlete willing to pony up $16,000 to cover the cost of the bike, the new Lamborghini Limited Edition model will be even harder for them to get their hands on. 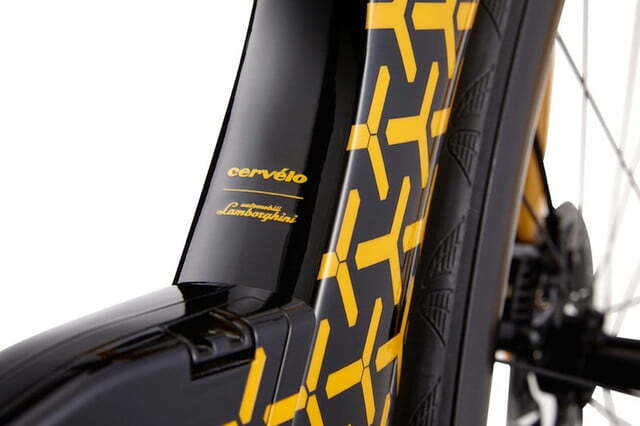 Cervélo says that only 25 of the custom bikes will be made, making them a hot commodity indeed. No official price has been announced yet however, although some estimates put the cost at $20,000. That price includes a custom-made travel case as well. For more information visit the Cervelo website.